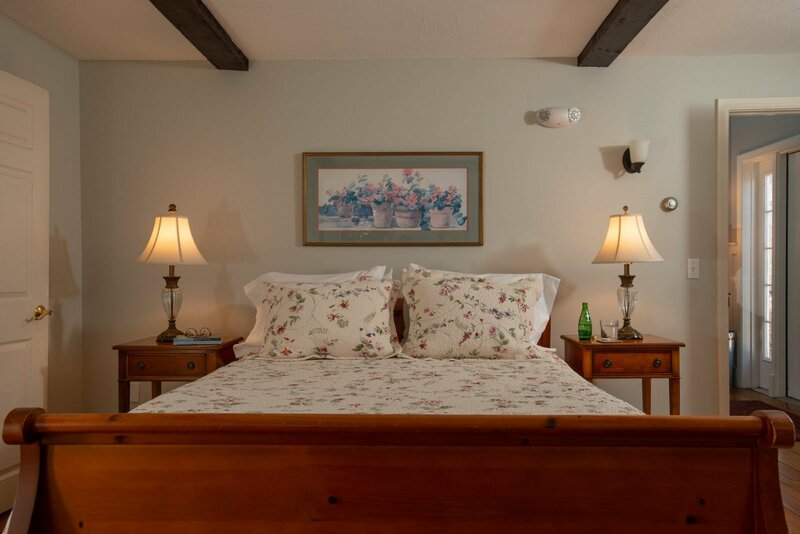 Elizabeth’s Garden Room is our most accessible rooms for those with physical challenges. 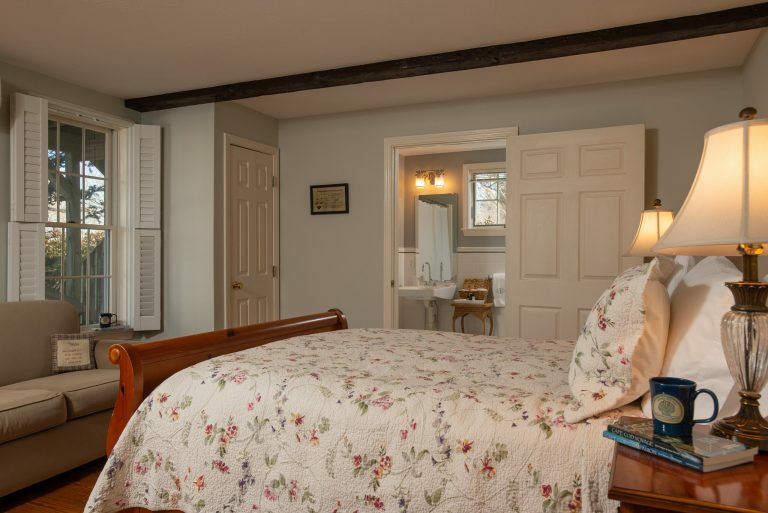 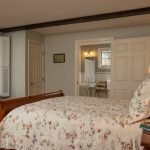 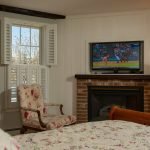 It is on the first floor of our Carriage House and has a lovely queen sleigh bed. 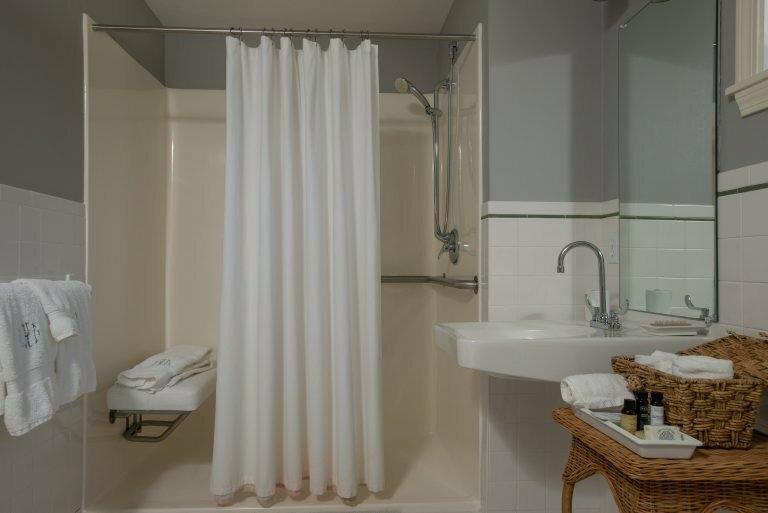 The bathroom is very large and can accommodate a person in a wheel chair with a transfer seat in the floor level shower. 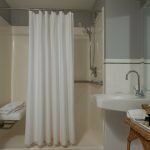 There are grab bars throughout the bathroom. 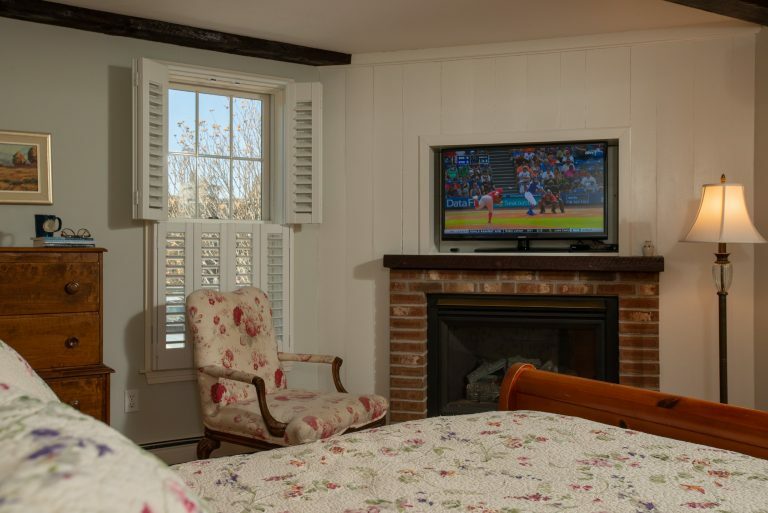 The room also has a love seat that pulls out into a twin bed so the room can accommodate up to three persons. 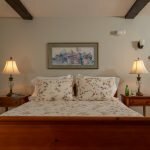 We use a full twin mattress on this when the pull out is used for the maximum comfort of our guests.